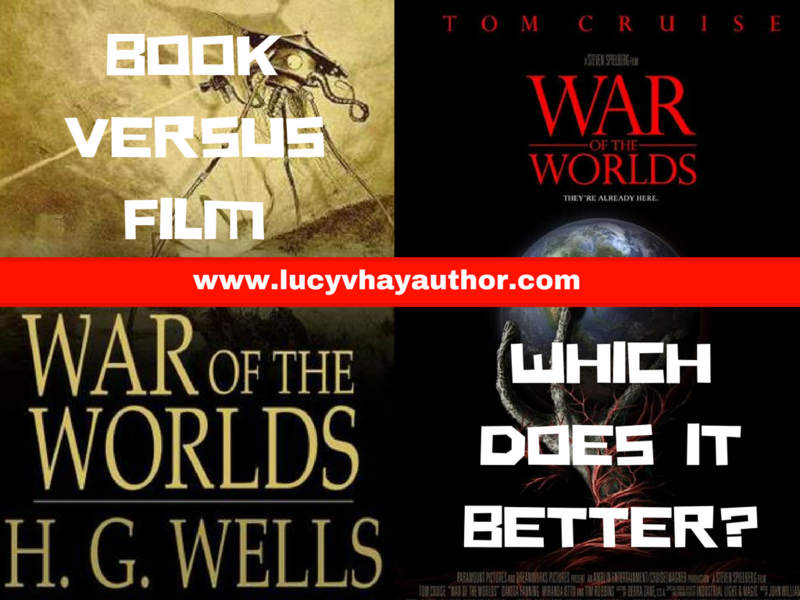 War of the Worlds by HG Wells was one of my favourite books as a child. Like many popular novels, there have been many, many adaptations of it … Now stretching across the mediums, too! The Youtube comments are hilarious for this one, labelling Orson Welles ‘the original troll’, since this broadcast had people literally running for the hills! I think the saddest element is the notion that in 1938, ‘the war scare was over’ … If only! But then it’s easy to judge with hindsight. Still a really well put-together broadcast I think, if you haven’t been able to listen to it, do. It’s only fifty seven minutes, you can listen to it in your lunch break. There was no Youtube ‘back when I were a nipper’, so I saw this movie when my friend Helen brought it on VHS tape from a car boot sale for 20p and we watched it together. I hadn’t left primary school, so I suppose I was about ten. It’s quite faithful to the book, though the location changes from London to California and the protagonist is a physicist instead of a journalist; what’s more his girlfriend, whom in the book he famously sees setting off on the boat without him, is a woman, Sylvia, he actually meets at the crash site instead. Overall I was satisfied by the adaptation as a child and found parts of it quite scary! However, due to the incredible leaps forward in technology in the last twenty five years – particulary CGI – the monsters, space ship, etc now look reaaaaaallllllly dated. What’s more, the way modern blockbuster movies are structured would mean they’d never make it like this in 2017. Despite this, the actual storytelling still works for me in a retro way. There’s plenty of readings of classic literature online and on Youtube, but I do really like this one. The deep, languid almost-bored diction of the narrator gives a sense of gravitas to the story that feels really compelling. If you give it a listen, make sure you have it on ‘auto-play’ though so it goes on to the next part of the story! Perhaps one of the most interesting adaptations, due to the fact one doesn’t always see books reimagined as a prog rock offering! I was lucky enough to see Jeff Wayne and his orchestra perform this at the Bournemouth International Centre about ten years ago, having listened to the recording numerous times during my childhood and teens. Jeff Wayne takes a very “traditional” look at War of the Worlds, restoring the unnamed journalist and even the priest who attempts to drive back the creatures with the power of God. Whilst not fantastic music by any stretch of the imagination (not to mention rather repetitive at times), Wayne does I think capture the drama of the novel with a combination of music, F/X and media. The icing on the cake for me has to be *that* Richard Burton narration …. Restored for the noughties by using an actor’s moving lips over Burton’s own holograph face, it seems to “loom” over the proceedings for the audience. In more recent times, Liam Neeson plays the narrator. This is actually probably my favourite version of War Of The Worlds and possibly makes my favourite top 10 blockbusters, ever. I couldn’t believe the liberties taken with the source material; Josh Friedman, David Koepp and Spielberg must have had nerves of steel to mess with such a classic! But as I mention in my Writing And Selling Thriller Screenplays book, I for really thought these gambles paid off. In this version, the goal completely changes: instead of the Journalist merely trying to survive whilst documenting the apocalypse, Tom Cruise’s absent father must take his children to his Ex in Boston, by hook or by crook. This neatly side steps the whole Deus Ex Machina of the aliens being defeated by the cold virus and introduces a whole set of new problems for the characters involved. What’s more, for a 12A, I think it’s REALLY SCARY!! War of The Worlds, in 30 seconds – with bunnies. SYLVIA! A surprisingly well done parody of the 1953 version — enjoy! The 1953 film has a sequel of sorts, in the form of a 1988 TV series. It was made by Paramount and heavily syndicated, and positions itself as a direct follow up. In it, the aliens didn’t die at the end of the film, but went into suspended animation. They are woken up, and now merge into human bodies to hide from our common cold and other (to them) toxic poisons in our air. Original film star Ann Robinson returns as Sylvia Van Buren, who has been haunted by the alien menace for years and is now in a care home. Her closest relative is the series protagonist – an orphan housed by Sylvia and Clayton after the war, now an astrophysicist by the name of Harrison Blackwood. Harrison pulls together a team (including Predator star Richard Chaves, no less) to fight the aliens week-in, week-out. There were some really great episodes, and the core cast worked really well together, but at the start of the second season, the original aliens were killed off unexpected, alongside half the cast, and future Highlander star Adrian Paul was brought in as the show moved into a dystopian, post-apocalyptic future for no apparent reason. Basically, it all went from being a fun bit of horror hokum to an utter stinker overnight – so watch the first season, but avoid the second! Whoa, I had no idea about this!!! How could I have missed it?? Must check it out, thanks! The series used the same design of Alien ships (And Aliens) as the 1953 version, but had the Aliens impersonating humans and carrying out a guerrilla war against humanity. It was actually pretty good in places.